If you prefer a mid-size sports utility vehicle that does a bit of everything, then the 2015 Jeep Grand Cherokee SRT is for you. The cabin is comfortable for five people, and it is one of the few remaining utility vehicles that can handle daily commutes and off-road trails. 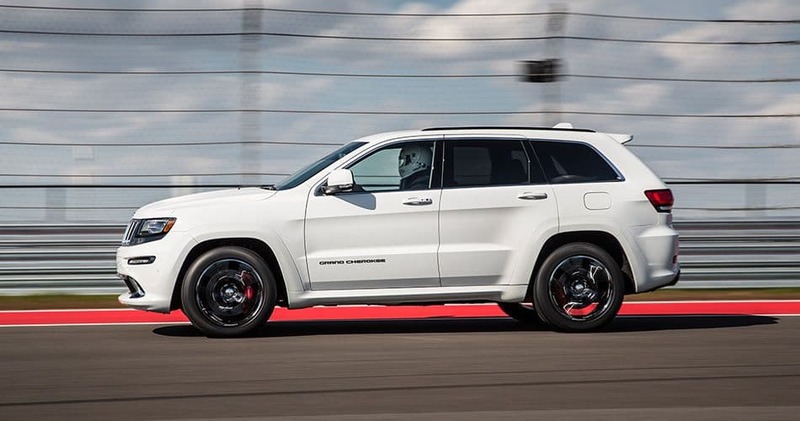 The on-road-performance-oriented Grand Cherokee SRT features a 6.4-liter HEMI V-8 that now makes 475 horsepower and a 0-60 mph time of about 4.8 seconds. With launch control and a sporty 70-percent torque split to the rear in Track mode, it's one of the best-handling SUVs. The SRT has a fluid feel on pavement, but it's also vastly talented off-road. The most advanced versions can still clamber over boulders and logs with ease, and the automatic enables a lower crawl ratio that suits the Ecodiesel especially well. The huge range of trims and options means you are able to get the Grand Cherokee SRT as toned down or tricked out as your budget permits. Jeep is known for its off-road worthiness. The inside of the SRT is splendid, with plenty of accent stitching. 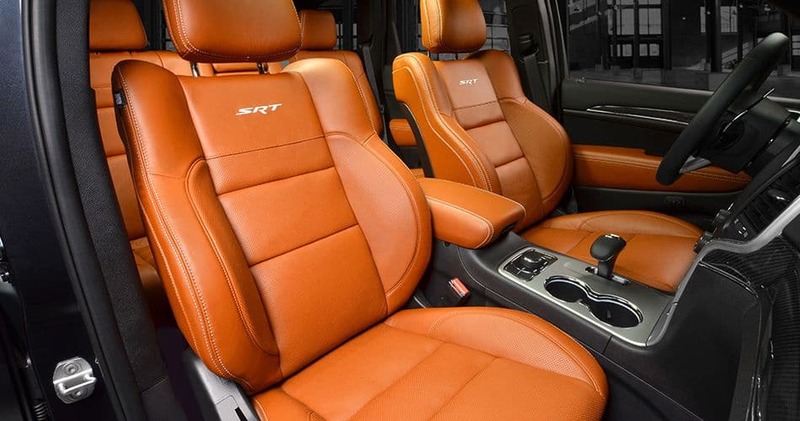 The seats are supportive and comfortable, and as a large SUV, the Grand Cherokee SRT offers a lot of room for everybody, no matter what your size is or where you sit. A tight-to-the-road stance, wide footprint and sinister "blacked out" front end gives the Grand Cherokee SRT a look that's all its own. The front grille and lower mouth area have a gloss black treatment and sport distinctive headlights. Bright LED daytime running lights and turn signals give it a face you can't forget. For more information on the Jeep Grand Cherokee SRT, give us a call today! Learn more about this model on the Official Jeep Grand Cherokee SRT Website.